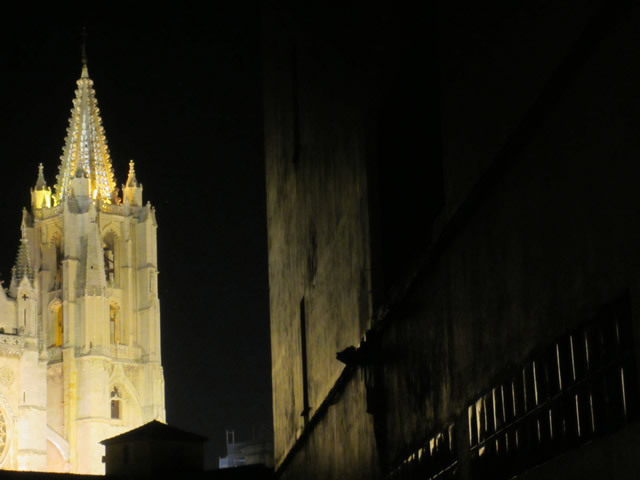 In the previous two topics we have looked at León as a historical town full of beautiful monuments (and relatives) of all shorts. 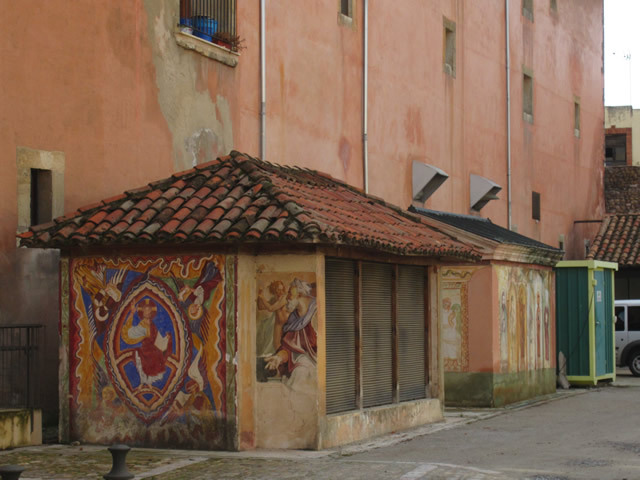 However, before we start, I'd like to make special emphasis on a major difference between Europe and the US: due to the age of some of the towns, their streets have had many centuries to cram themselves with beauty of all sorts. A town where one can live, touch, see and breathe art, or some man-made expression of beauty, intentional or not, is a town that is desirable, a town that is worth waking up in everyday. The US, by comparison, is still a young country, but has no excuses to build spaces full of charm; there are many gorgeous towns spotted around the States, but modern architects and urban planners seem to forget the human element behind their designs. Beauty is one of the keys to happiness: living everyday with something that inspires you, that propels you to do great things, or simply makes you smile slightly. These are machinery shelters for the (inspired) restorers at San Isidoro. Today's two main topics are bread and circus, or, in a literal translation, food and entertainment. I woke up early in the morning, with a soft haze of mist over the city, still to be burned off. The streets laid empty that day: it was just me and the monumental squares. 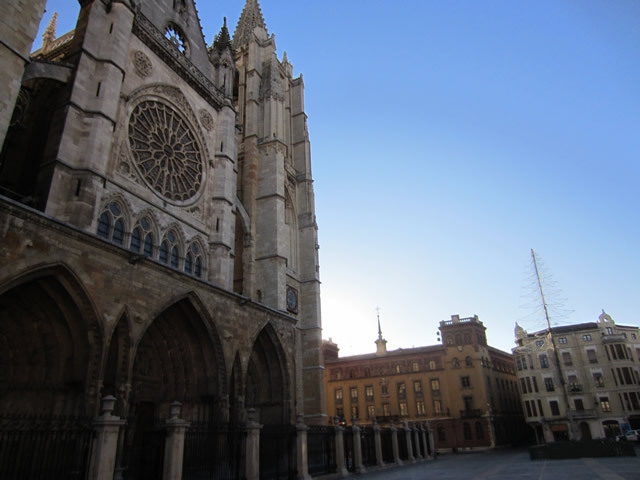 As I went down the main artery of the Old Town, the Calle Ancha, streaming down from the Cathedral, I thought about my friend Beatriz, whom I had not seen in almost ten years. Would she recognize me? Would I recognize her? How do you condense a year's worth of events in a conversation? 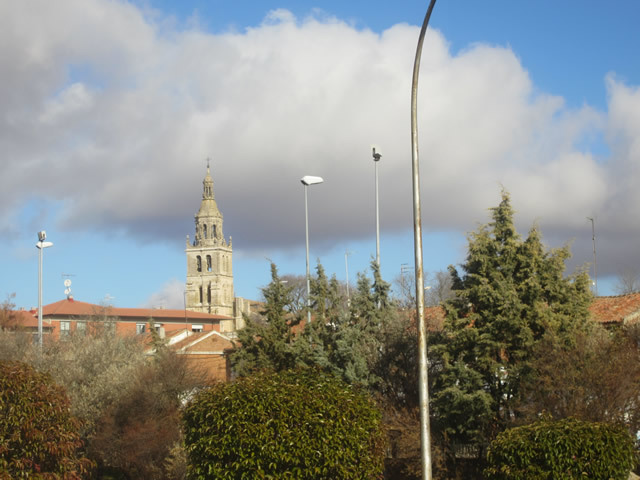 The sleepy square where the cathedral lies. I waited for ten minutes, almost freezing my nose. 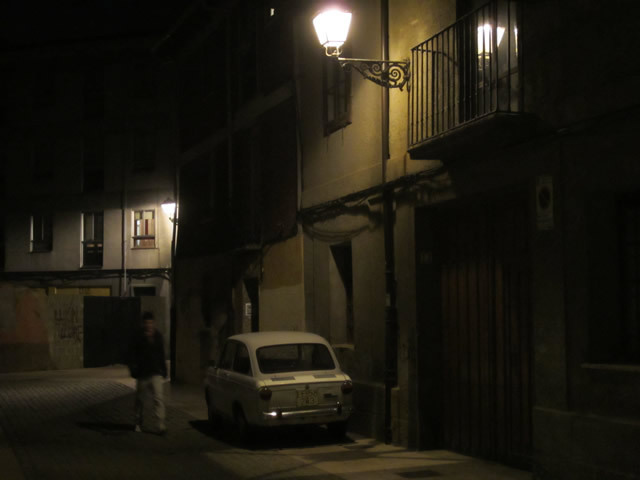 Then, a small-framed figure, wrapped in a tweed coat, showed up and asked "Miguel?". When you meet such an old friend, there is always a first hour of wordlessness... ten years! Soon after breakfast we decided to walk towards a heated space, any heated space: the mall. On our way I started to realize how hard the crisis had hit my town: some old business had been vacant for months, while some others had been stripped completely and replaced by very dull, overstuffed Chinese bazaars lit by sad fluorescent tubes. We got to the mall, which looked like any other mall ever built. Same confusing layout, same chain stores. The top half of the mall was entirely vacant, which made a perfect space for remembering the old inside jokes we told each other as kids, and the whereabouts of our teachers. 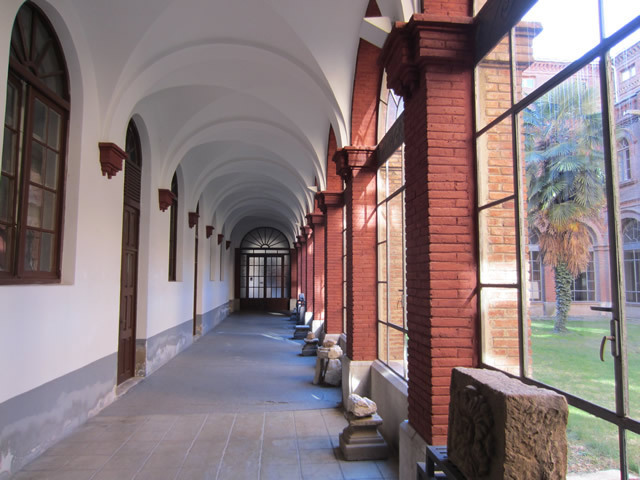 As noon approached, we headed back to the Old Town, with a small stop by the school where we studied together. 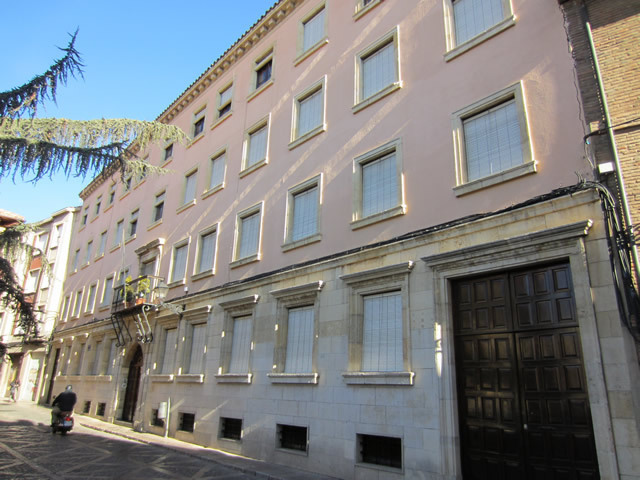 Ah, dear Opus Dei: feels strange to say this, but despite I do not uphold all your values, I would not have wanted to be in any other school at that age, with my own doubts, my own conflicts and my own, smashing successes. 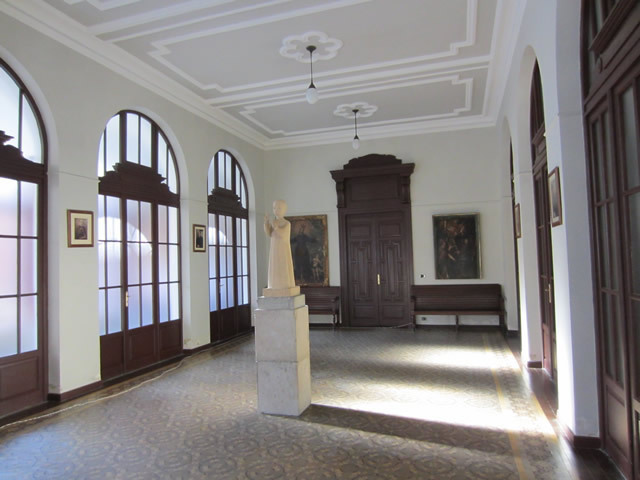 Colegio Leonés. Eight wonderful years behind a desk, right here. 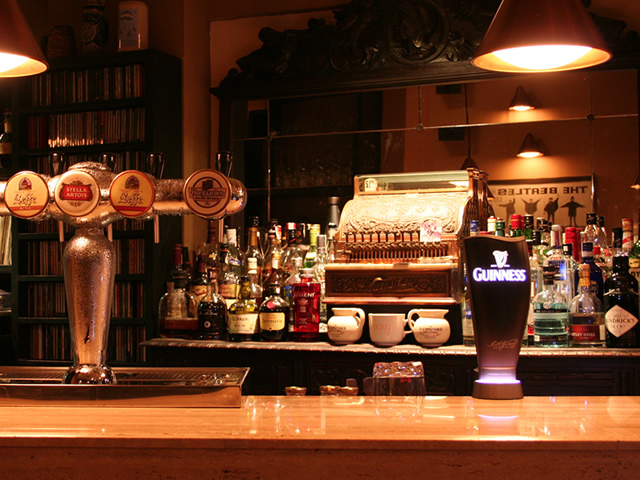 It was here where I started to develop a passion for the arts as a side project. In my early teens, I used to take a letter-sized sheet and doodle some comics to put them up on the bulletin board every Monday. I carried this tradition up until I was seventeen, where I "took life more seriously". Oh, how many people have mistakenly taken life seriously! One of the biggest things I realized in this visit was that one of the biggest components of my life as an artist was to be in an environment where I was continuously exposed to beauty, especially architecture, landscapes and artworks. Amazing that, after all these years, I could not escape the power of this beauty, the continuous search that had made bricklayers, ceramicists and masons erect such magnificent temples high to something higher than themselves! 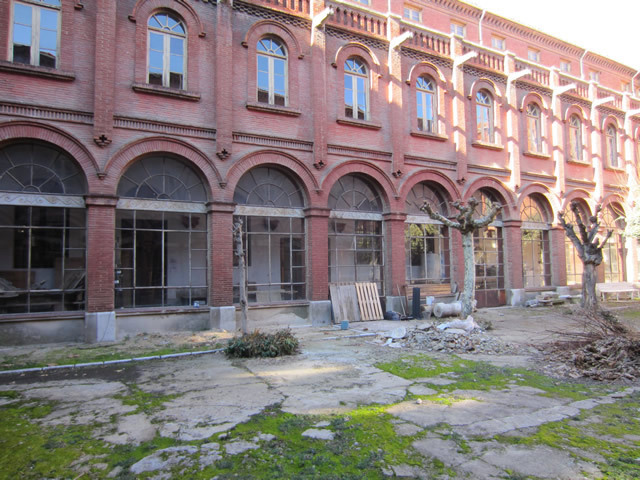 After school, I played basketball in the courts of an old clerical school. The very courteous doorman let us pass after telling him my story! And there it lay, half empty, half abandoned. Someone save this Seminary! We met with another friend: Héctor, my very first friend, ever. He told me numerous anecdotes, including the first time we introduced ourselves in class: "Man, when you said that your name was coffeemaker (cafetera), I knew we were bound to be friends". Héctor is as noble and funny as a person gets, but for a short time we grew distant because he liked soccer and I did not; being in completely different class sections did not help either. We met again last year, completely changed, but similar in our core values: so similar we really understood why we had become friends in the first place, many years ago, in a classroom where I expressed my boredom by changing my name to coffeemaker. Soon it got dark, and the cathedral was lit up in the middle of the Old Town. A scene that seems straight out of a French realist film. 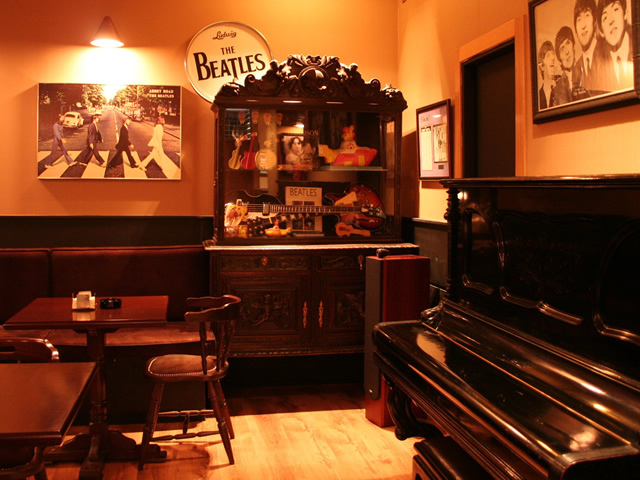 My father's Taxman Beatles Bar, dedicated to the band from Liverpool. Well assorted, ready for the festivities till 4.30am! Visit their website (link). Leon is world-famous for its unique foods, derived mainly from mountain cattle and legumes in the plains. Amongst them, you have cured beef (cecina), garbanzos (chick peas), lentejas estofadas (stewed lentils), cochinillo (piglet), botillo (similar to a Scottish Haggis, an intestine full of beef chunks and entrails), morcilla (blood sausage), chorizo (paprika sausage –spicy or not-) and jamón (prosciutto, or smoked ham), amongst others. As you see, these are very strong foods suited for the very cold climate, sometimes bordering -20C (-4F) in the winter. 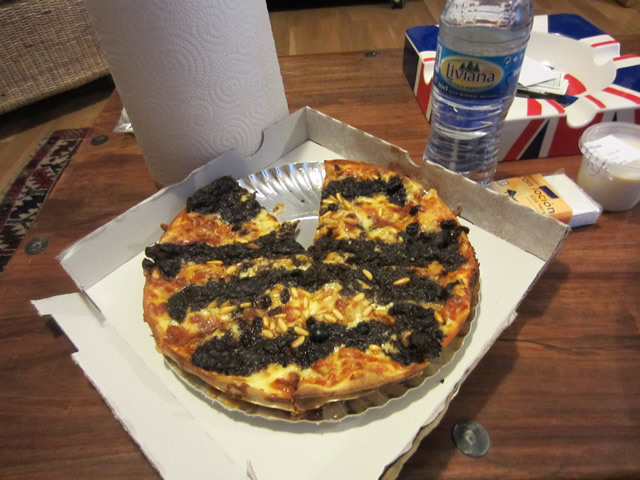 Blood sausage pizza, a creative take on a typical Leonese dish. 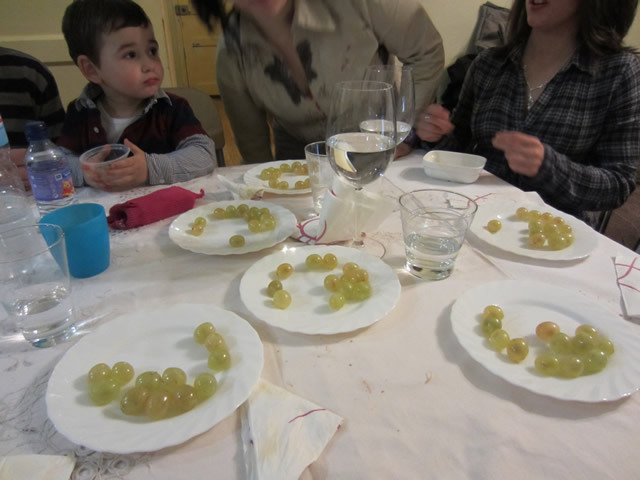 Every year, at 12am on the 31st of December, Spaniards eat 12 grapes. 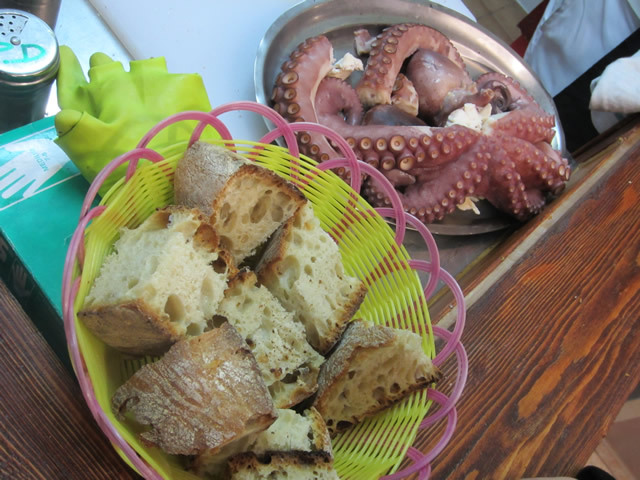 Boiled octopus, to be served with paprika, olive oil and salt... and the best BREAD ever! Certainly, the food is one of the aspects that I will always miss about my hometown. Our gastronomy is brutish in the simplicity of its materials, yet very refined in its preparation, much like French cuisine. One of the most astounding things I have ever tried here was a foam called "Pepper Air", a whiff of flavor with no substance whatsoever. Plain as flavored air, incredible! 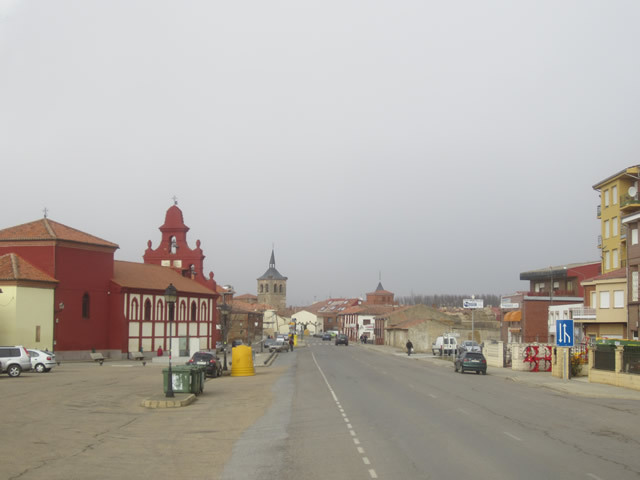 Intriguing panorama in a small Castilian village. I took a quick nap, and woke up when the bus stopped. This is what I saw. 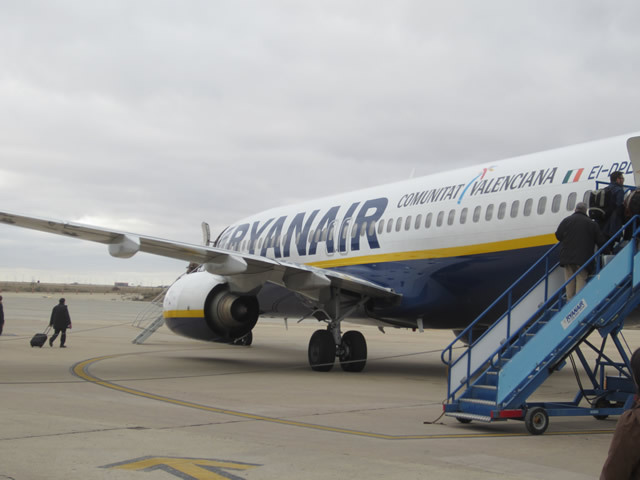 In Valladolid the airport is so homey, you just get out and walk up to the plane! 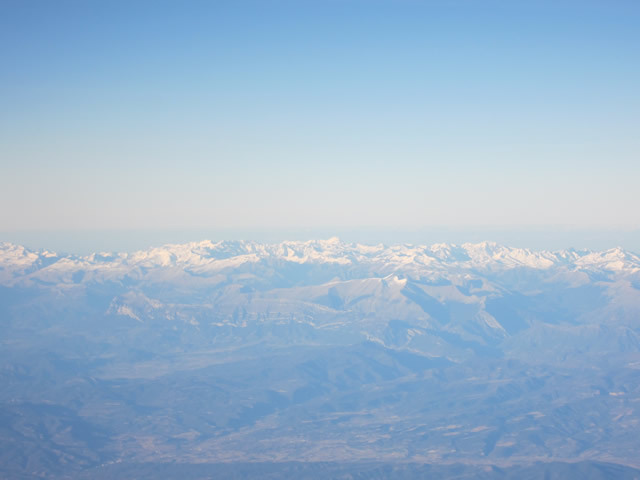 The Pyrenees, seen shortly before landing back in Barcelona. That was, in short, my hometown: my roots, and the philosophies of living I have taken with me abroad, trotting all over the world in lands foreign enough to find myself, and familiar enough to find home. 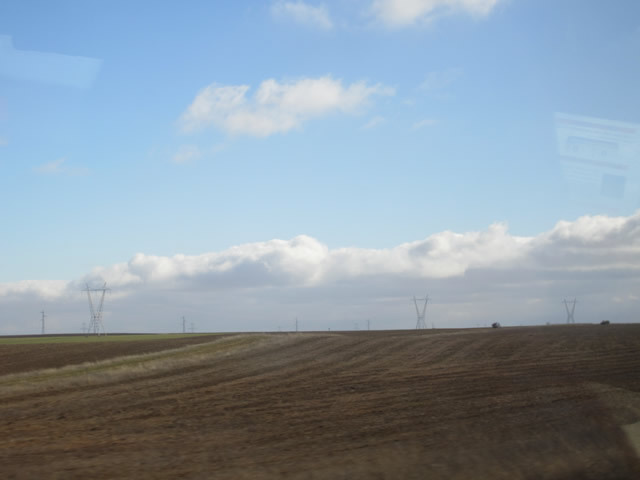 This post also includes a short video, edited by yours truly, taken while on the bus ride between León and Valladolid. May this be the start of a avalanche of media on this blog! Tomorrow I will travel to the Netherlands to visit three distinguished members of the Mercedes community and have some healthy fun in Amsterdam –don't think otherwise!